2014 Revised Total Coliform Rule stops short of requiring water storage tanks to be inspected or cleaned. 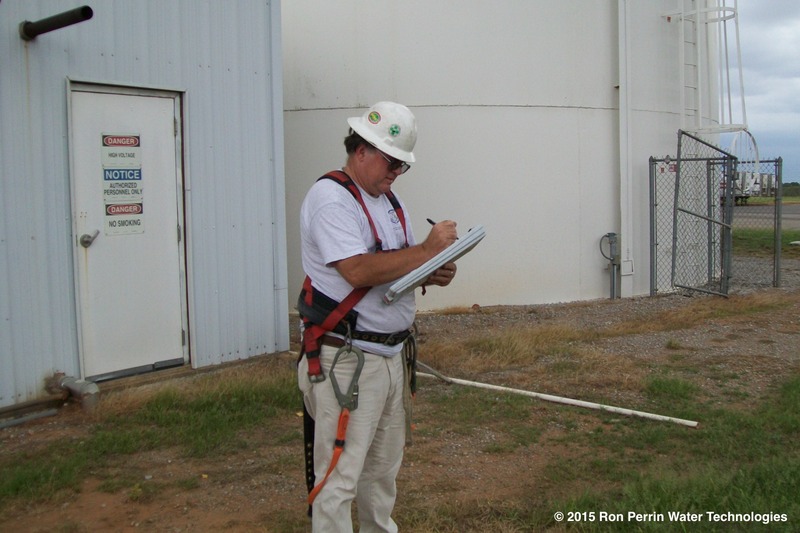 Promoting the safe inspection & cleaning of water storage tanks and towers. Hey there! Thanks for dropping by Ron Perrin Clean Water Tank Project! Take a look around and grab the RSS feed to stay updated. See you around! The Ron Perrin Clean Water Tank Project was granted 501(c)3 status by the IRS in August of 2018. This will allow us to raise funds to promote and explain the need for cleaning water storage tanks and towers. Cleaning tanks and towers is often forgotten as the interior of the tank is simply out of sight and out of mind. Instead, the focus of many water utilities is on adding more chemical disinfectants to meet federal and state guidelines. Bacteria, protozoa, viruses and other microbes can use the sediment at the bottom of storage tanks as a habitat to grow and eventually become a health concern. Going forward, we will be able to apply for grant funding and ask the public for donations. All donations are Tax deductable. “Out-of-Sight Out-of- Mind – What’s in your water?”, is our first film project that will benefit from new funding. This blog has been sponsored by Ron Perrin for several years to echo the need for our drinking water tanks to be cleaned. Ron’s simple project has now become an organized mission of education to the water utility industry to correct this often overlooked problem. Please explore our blog and video’s we look forward to your comments and support.